Who doesn’t remember the story of the boy who had a magic lamp and a magic carpet? 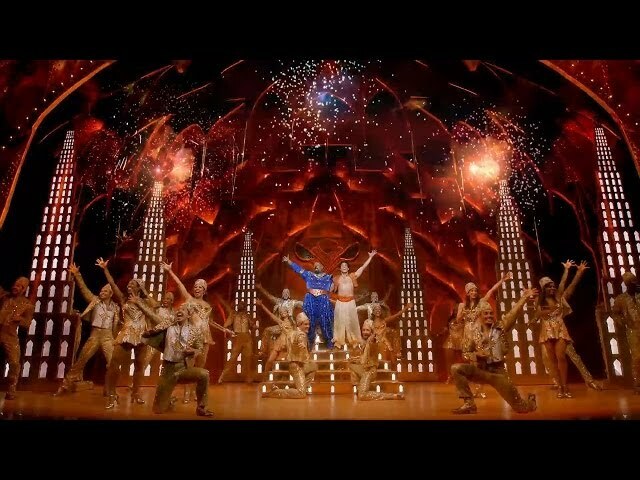 The beautiful Disney movie Aladdin was brought to Broadway by Casey Nicholaw and has been successfully taking its audience on a journey to the world of 1001 nights. Are you ready to feel the magic of Aladdin on Broadway? 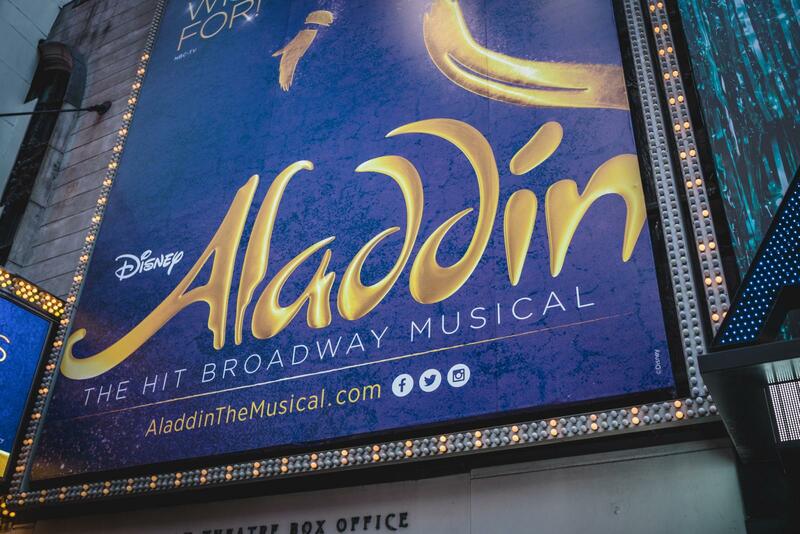 We’ve got you covered with Aladdin tickets for your next trip to New York City. Musical critics in New York are enthusiastically talking about a new era of musicals as Aladdin the musical combines the enchanting story of friendship and love romance with the magical Arab culture. Sounds like the perfect combination to you for an amazing night out in New York City? We couldn’t agree more! If you think that Aladdin is a musical only for children, you’re wrong: The show comes along with first-class music, making you want to dance and sing along for 2.5 hours straight! Magic, magic: Genie in a bottle, a magic spirit who will make three of Aladdin’s wishes come true, is the secret star of Aladdin the musical. Played by James Monroe, who is an outstanding actor, the character is displayed incredibly entertaining, fun and makes you wish Genie was your friend, too. It is particularly brilliant to see how the stage designers create special effects, making it look like Genie actually comes flying out of his magic lamp, and Aladdin floats through the air on a magic carpet. Even after watching it, I could not tell how they do the trick! But why bother, just let yourself float on the magic carpet of the magical Aladdin musical, too! Purchase your Aladdin tickets already: simple, safe and comfortable. Due to its popularity, Aladdin on Broadway is often sold out or only seats with limited views are available. My tip: if you have the time to go on an afternoon during the week, you will be able to get cheap Aladdin tickets. There are 5 performances a day, giving you many options to choose the best Aladdin Broadway tickets for you. The breath-taking musical Aladdin can be seen in the New Amsterdam Theater on Broadway, a location which was opened in 1903 and has retained the charm and ambiance as one of the oldest theaters in New York City from that time. Therefore, the New Amsterdam Theater visit makes seeing Aladdin on Broadway an even more unique experience. The theater is located on 214 West 42nd Street. Here you can see the different seating categories and areas in the New Amsterdam Theatre.